It’s fun to work with clay as a family and trade materials and ideas. Clay feels good in our hands (much better than glue, anyway! ), and we all find it very relaxing. Working with clay is a good workout for little fingers, and it strengthens fine motor skills. We can create “practical crafts” – gifts and decoration. Practical crafts are more appealing to my daughter than arts for self-expression. “Real” clay works very well in studies of ancient civilizations and making your own pottery. What Kind of Clay Do We Like? 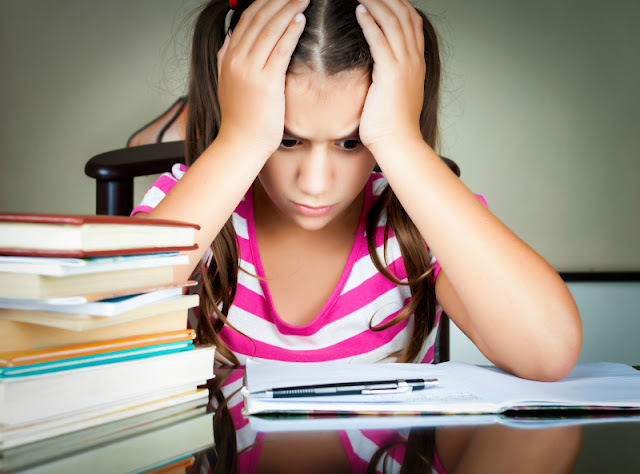 Disclosure: I am an Amazon affiliate and this post contains affiliate links. For full disclosure, click here. We did our own play dough and our own salt dough, but I admit that our favorite clay for crafts that last is Crayola Air-Dry Clay. One 2.5 lb. container of this clay lasted us through several major crafting sessions already, it doesn’t dry out if closed properly, and clay projects dry without cracks. We prefer white color, because painting clay is half the fun. We tried different things to do with clay – daughter, of course, wanted to do pottery and found that it is not as easy as it looks. We also made some clay animals, clay fruit and some clay pendants, but we had more fun making seasonal decorations and small gifts with clay. Wilton seasonal mini-cookie cutters work well, especially if you put a little bit of vaseline on them. 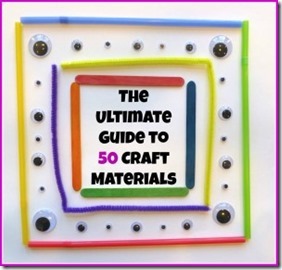 This is day 12 of the Ultimate Guide to 50 Craft Materials Linky! Click on the link to see the full schedule at Craftulate. Do you have a clay craft to share? Please link up below! I think I should try clay with the boys. I tried something before that was too hard to work with. This stuff sounds a bit better because I know they won't like "real" clay -- the kind that is wet. We had the terra cotta version of that clay, and I finally threw it out. It was so messy to work with. Maybe we'd like the white better, too. I love the gifts that she made! I will freely admit that our clay does not last that long. It usually makes it through one project, two if I'm lucky. We have never tried this clay - sounds well worth giving a go. We've tried the clay before, but the kids got so frustrated that it is super fragile when dry and their creations broke. Any tips? We're hooked on the bake clay right now. We love clay, playdough or anything else we can get our hands on in our house! Thanks for sharing at After School!! Pinned and am featuring at Family Fun Friday!